Break free from your boring date night routine and go on a spontaneous getaway! Date night expenses add up anyway. Think about it! 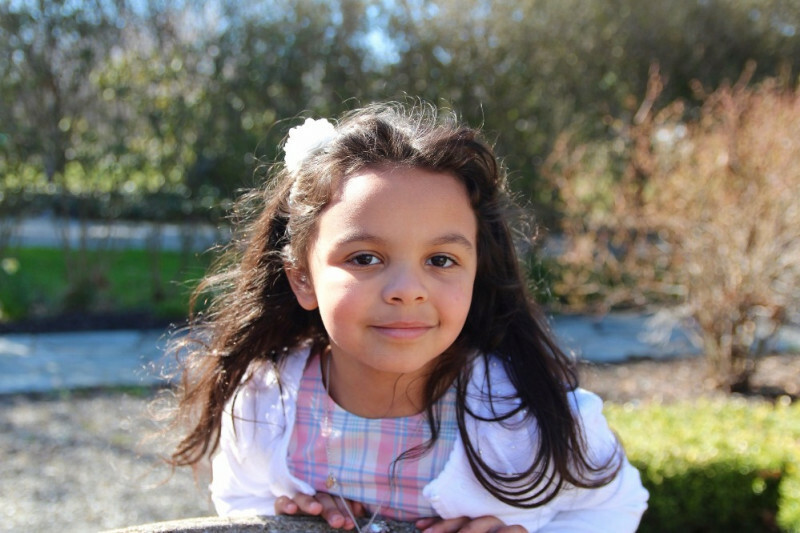 By the time you add up the cost of a nice dinner, movie tickets for two, popcorn, drinks, and the cost of a babysitter, you could easily spend $100! So ditch the regular dinner and movie and just get a hotel room and have a hotel slumber party! Even if you can’t stay overnight, a hotel slumber party is still a perfect way to spend date night for a few hours! A slumber party is one of the all-time most fun things you can ever do! There is something so fun about staying up late and chatting the night away! 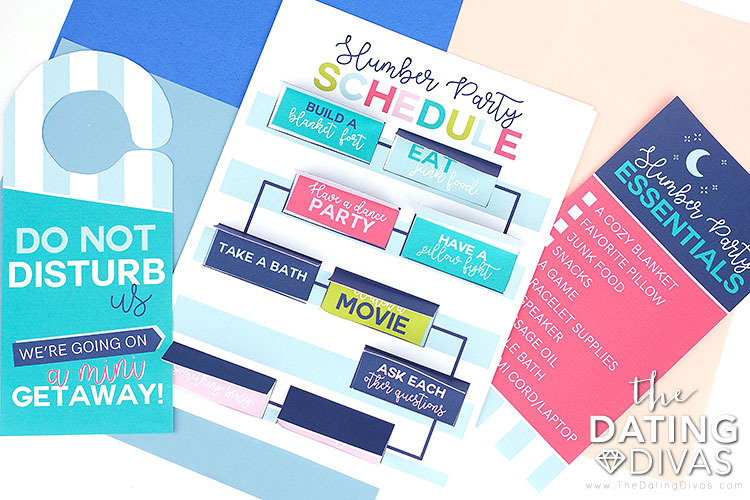 Create the fun and magic of a slumber party with your spouse! You are in for some fun! This idea is designed as a mini getaway, whether it’s a few hours at the hotel or overnight! Of course, you could simply stay home and still enjoy this slumber party date if the sitter falls through! 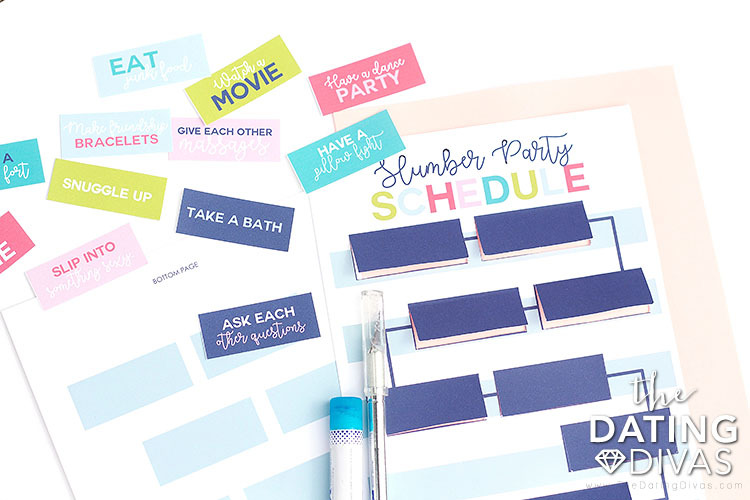 Thanks to Carisa from Messes to Memories for designing these ultra-cute, super fun printables! 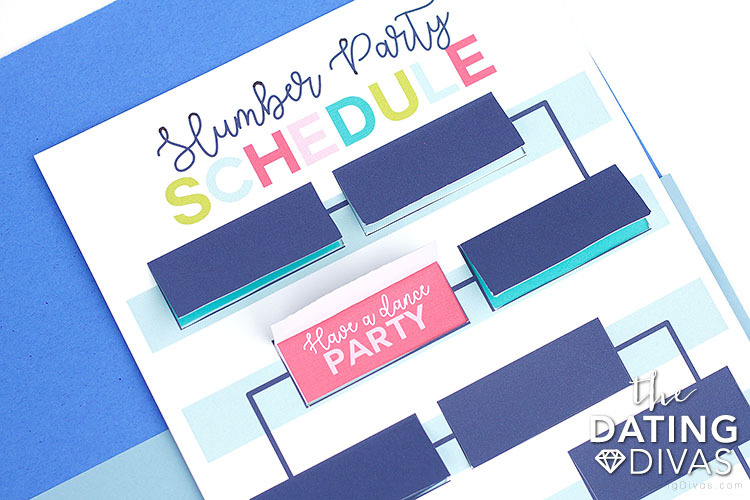 Get this slumber party started by first preparing the printables! The invite is super cute and totally on-theme. 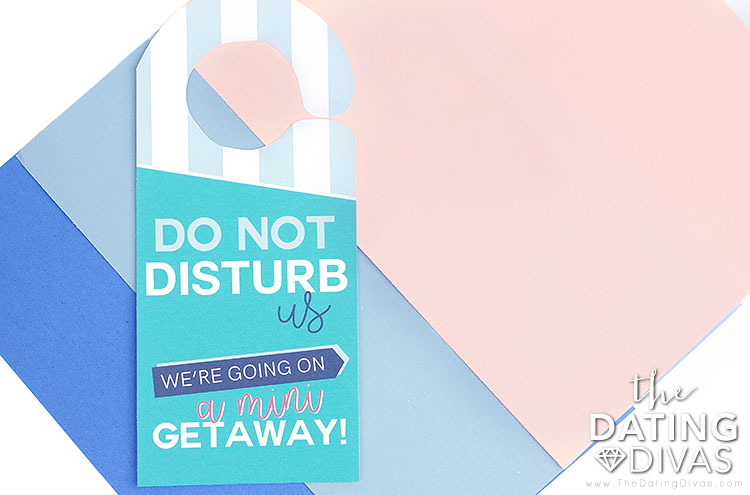 A “Do Not Disturb” sign done up Diva-style! Hang it on the door for your sweetie to find as they walk through the door! 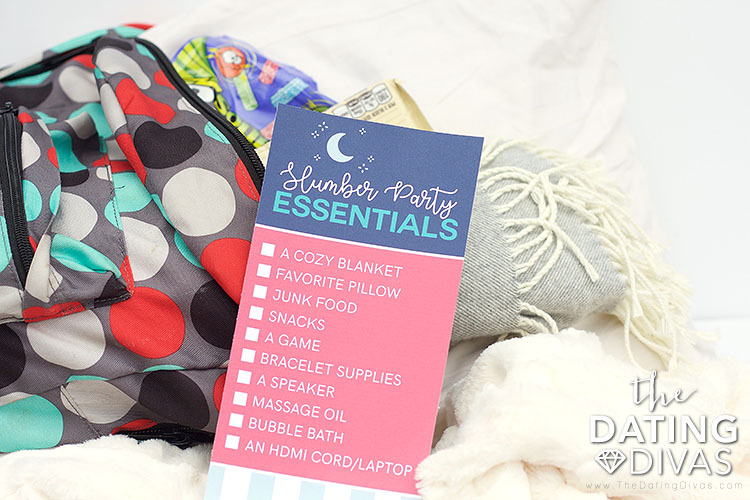 Next, pack up a bag full of the slumber party essentials. We created an easy checklist for you to complete as you collect the essentials! 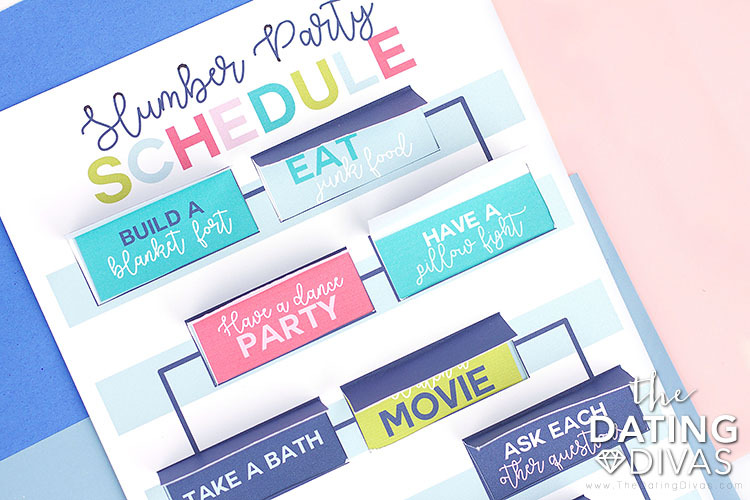 Of course, first, you need to create your slumber party schedule so you know exactly what you’ll need! Pack up your supplies, and don’t forget to throw in that HDMI cable to hook up the hotel TV to your laptop so you can snuggle up and watch a movie! Now, for the fun part! Map out all of the activities the night will hold. 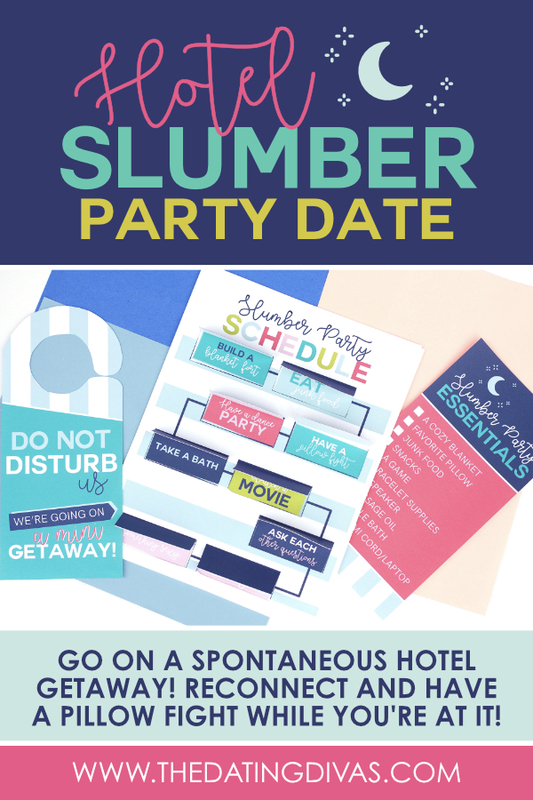 We have the coolest printables for you to schedule out your own hotel slumber party! Here’s how it works! 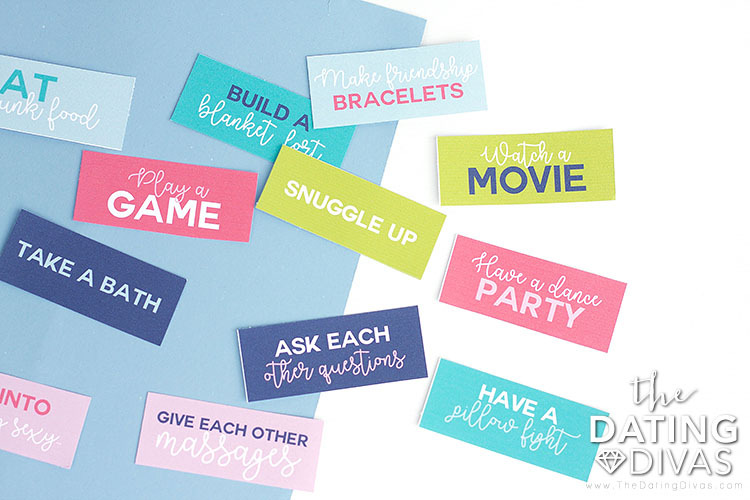 Choose 9 of the slumber party ideas, or come up with your own and write them in! 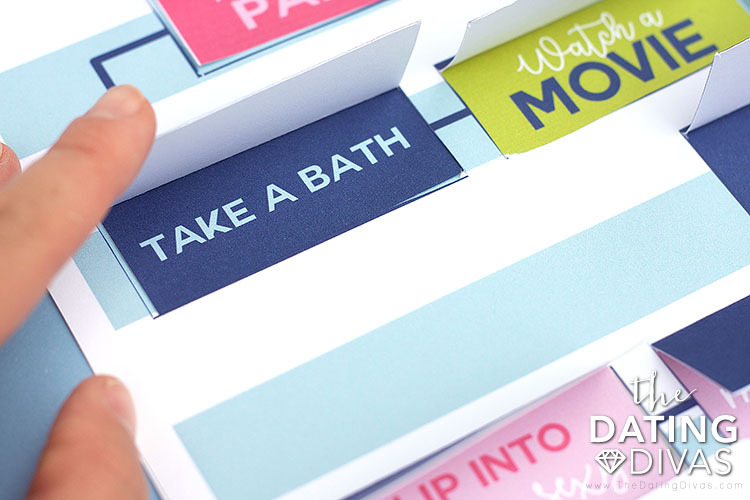 Cut them out and paste one onto each rectangle of the “bottom page” (page 4). Next, on the “top page” (page 5) use an Exacto knife to cut along 3 of the edges of each rectangle to create a flap that can be opened to reveal a slumber party idea beneath. 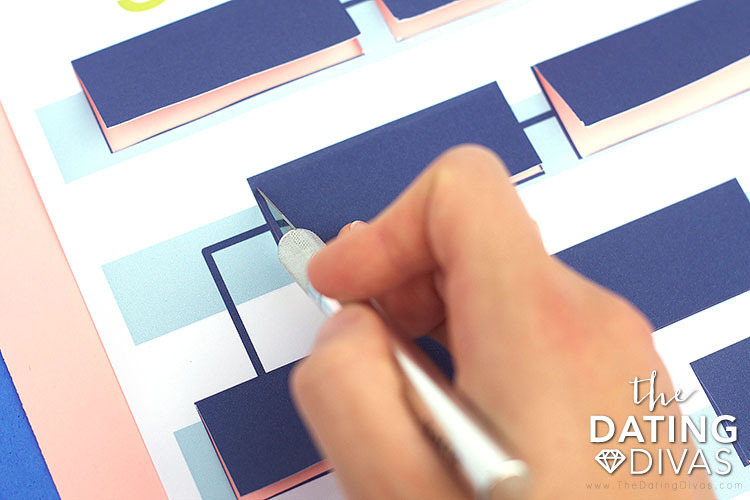 Now glue the top page to the bottom page, while leaving the rectangle flaps that you cut unglued, so they can be flipped open. 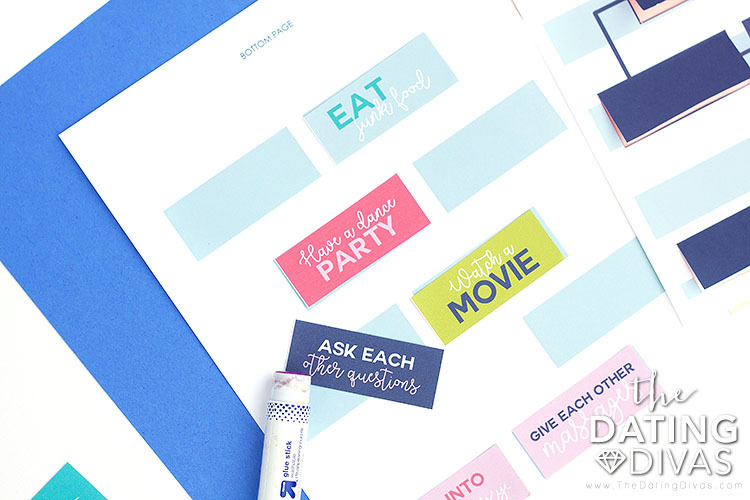 Once the two pages are glued together you will be able to open each flap to see what sleepover ideas are up next! Tell me that’s not the cutest slumber party schedule you have ever seen?! Now that you are all ready, all that’s left to do is head out for your own mini getaway and create your own weekend to remember! Take this time to feel the magic of having a mini getaway that’s just the two of you! Also, enjoy laughing and being silly together as you reconnect, after all that’s what a sleepover is all about!